The team at Home Service Doctors located in Manassas, Virginia, has put together a program to make sure that government employees affected by the furlough are able to obtain and afford new HVAC systems. Manassas, VA, January 19, 2019 --(PR.com)-- The Home Service Doctors of Manassas have agreed to make payments on new HVAC systems for furloughed employees. HSD owner, Randy Baldwin, says, “The government furlough is affecting families in nearly 70% of our service area and while paychecks may have stopped, the needs of these families in our community are never ending.” Baldwin points out that his team has recently seen families affected by the furlough be forced to go without comfort because they could no longer afford payments on a new HVAC system. Taking these calls has prompted the HSD team to step up and help their community. 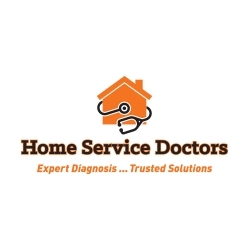 Home Service Doctors announced that effective immediately, they will offer a program where they will not only finance a new system for furloughed government employees – they will also make their payments for the duration of the shutdown. The Home Service Doctors don’t want anyone to suffer through cold or discomfort in their home in any way, so they are also including a complete menu of plumbing and HVAC services into this furlough relief payment program. Although terms and conditions will apply, the bottom line is that regardless of how long the government furlough lasts, furloughed employees participating in this program will have their payments made for them for as long as the furlough lasts.